Having written THE BOOK on Customer Service for Hospitality and Tourism last year, I just had to investigate service in the snow. American ski resorts have been setting the bar for customer service for decades, pioneering free guiding, organized liftlines and Disney-style staff training. Nowadays, high-end hotels such as Four Seasons Vail have to go the extra mile to retain their five-star clientele, developing slick, slope-side concierge services to reduce the discomforts of a typical ski day. Customers are mothered by solicitous attendants who put on and take off ski boots, stack and carry skis and snowboards, store belongings, dry and warm boots overnight and après-ski footwear during the day, and also offer free cappuccino and cookies - all included in the room rate. So how are Canadian counterparts competing with these cushy comforts? 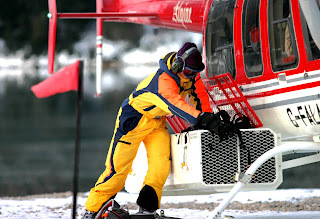 At the top of the wintersports’ food-chain are heli-skiing operators which access five-star snow. At around $1000 per day, guests have justifiably high expectations of lodging, food and service as well as skiing. Beyond its decadent down divans and dinner-party dining in remote lodges, Canadian Mountain Holidays also throws in thoughtful freebies: pre-ski stretch classes, never-ending cookie jars, afternoon tea, socks, hand/toe warmers, heated boot storage and free skis and poles to alleviate luggage. Recently named Best Ski Resort in North America at the World Snow Awards, Fernie Alpine Resort, BC is also a winner in customer service. Resorts throughout Canada have free mountain guiding but Fernie’s hosts go beyond advice and directions, sorting out specific problems for customers with their “service with no boundaries” philosophy. Free wagons help families transport equipment and kids to and from slopes. And sister resort, Kimberley gives free airport shuttles for arrivals from Canadian Rockies International Airport to Trickle Creek Lodge. Whistler/Blackcomb is enhancing service standards with healthy/sustainable food, gluten-free and vegan options. There’s free Wi-Fi onhill and complimentary newspapers. A free Wonder Route tour highlights views, runs and Olympic legacies. The new “Family Certified” icon visible on slopes, shops, restaurants and website helps parents and kids pinpoint appropriate amenities. Fairmont Chateau Whistler guests and non-residents get lift passes, rental and valet ski service on site rather than trudging around the village. And service levels are so high at Four Seasons Resort Whistler that when one visitor requested glacial ice to be shipped home, the resort concierge obliged and the ice was used for cocktail party drinks in Alabama. Lake Louise has adopted a “service with no boundaries” policy. Staff are empowered to solve problems on the spot and also compensate for them: “For example, if a washroom has no toilet paper, the staff solve the issue but if, as the customer, you are still really pissed off, the staff member offers you lunch in return,” says Lake Louise’s Director of Business Development, Sandy Best. Guests at Sunshine Mountain Lodge check in at the base and can ski all day while their luggage is transported by gondola to their room. Staff are very vigilant in recovering lost items and will drive to Banff or Canmore to return lost wallets, cell phones and cameras. Another Alberta ski hill offers hugs at its lift lines. Lifty, “Huggy” Marie embraces every person whose ticket she scans at Castle Mountain. The solicitous resort also offer a ‘conditions guarantee’ giving guests a rain check voucher for another day if the snow’s unsatisfactory during the first ski hour. Ferrying kids to and from daycare and ski school can be exhausting for parents so BigWhite, BC has developed personal pick-ups for kids enrolled in lessons. Instructors shuttle their charges to and from the family condo or hotel – free for private lessons and $10 per child for group programs. Other thoughtful touches include free family après ski events, grocery deliveries for a small charge, fully-decorated Christmas trees and delivery turkey dinners. The creation of Revelstoke Mountain Resort has a built-in wow factor giving skiers access to former catskiing terrain for the price of a regular day ticket. The new Sutton Place Hotel facilitates easy access to the slopes, hot tubs, pool and restaurants. On arrival, guests sit down to a free wine and cheese reception while staff handles checking-in procedures and luggage delivery. SunPeaks was also designed with convenience in mind with snow-ploughed streets, ski in/out lodging, 360 degrees of skiing around the ski-through village and no slippery steps to negotiate. Another added free feature is the regular slope tour hosted by Nancy Greene, former Olympic and World Champion and founder of Canada’s kids’ racing league. So, it looks like Canada is heading in the right direction with finishing touches to customer service. Ski towns like Banff and Jasper may never have Aspen and Vail’s heated sidewalks but skiing in the untrammeled wildernesses of national parks and wildlife preservation areas has its own cozy compensations. I'm heading to Aspen Snowmass in February to join in with around 3000 African American skiers from all over the States so look out for a great follow up article in March! Challenging the notion that black people don’t ski, around 3,000 African Americans will be descending on Snowmass this February to celebrate the 40th anniversary of the National Brotherhood of Skiers. This signature ski Summit – the biggest in North America - will snag around $1million for Aspen/Snowmass businesses, attracting hordes of holidaymakers and locals to its exuberant events. These include an Olympic-style opening ceremony with thousands of members in Technicolor team jackets and banners. As well as fiercely-fought races, there’s a popular “picnic on the hill” with daytime dancing and celebrated DJ’s, like Doug E. Fresh, are expected to host “happy hours”. Founders Art Clay and Ben Finley who launched the NBS at the 1973 Summit in Aspen will be attending along with club members from all over America, including the Texas Ski Rangers. Skiing celebs such as actor Dorien Wilson and comedian Mark Curry have graced previous summits. “We’ve also had Malcolm Jamal Warner from the Cosby Show before and Sinbad, the comedian,” says Joseph. “TV Judge Joe Brown, who has a property in Aspen, has also been very supportive. He gave one of our opening speeches the last time we were in Snowmass”. Honoring its Aspen origins, the NBS chose Snowmass largely because of its diverse terrain. 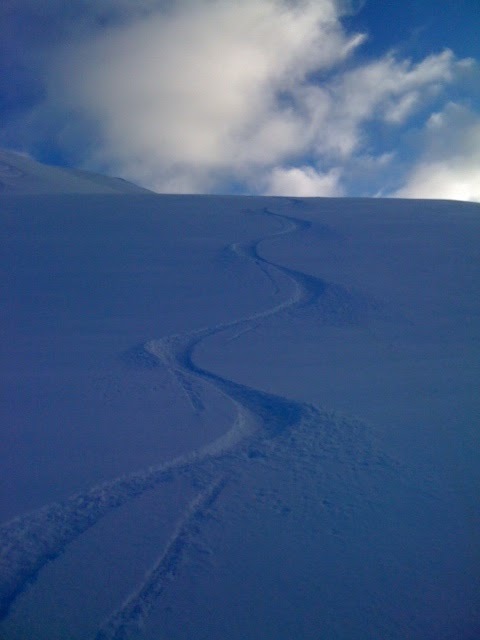 “It is suitable for all levels of skiers,” says Joseph. 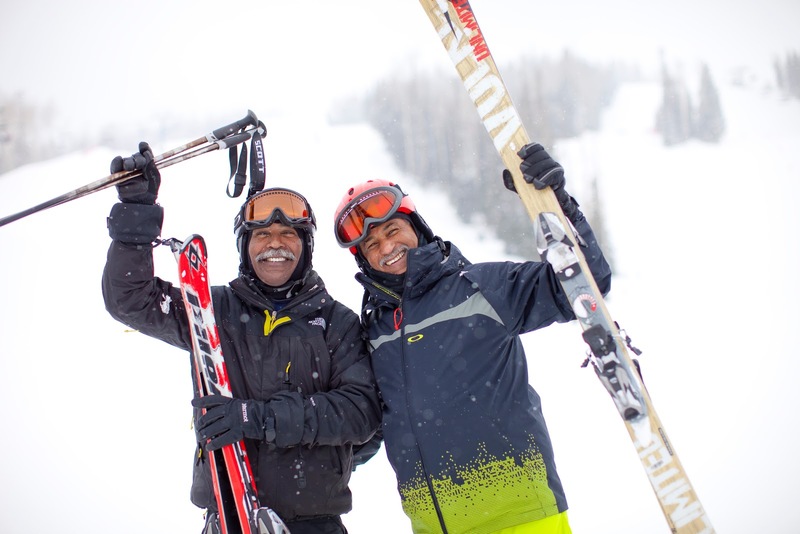 “We have a fair amount of beginners coming in especially from the snowboard perspective but we also have intermediate to advanced skiers and, because the organization has been around so long, many experts.” Last season the Obama family chose the area for a ski visit. 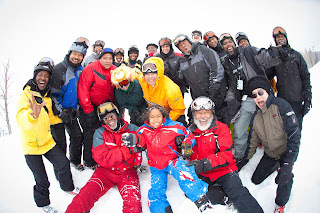 The Summit is not only about skiing and après-ski antics: “We party but we party with a purpose,” says Joseph who volunteers as public relations director for the Brotherhood. The NBS’s mission is to introduce African Americans to wintersports with the goal of training black athletes for both Olympic and Paralympic Games. And this year there is a fundraising focus for the new National Winter Sports Education Foundation to introduce 100,000 underprivileged inner city youth to wintersports. It's about getting back on the slopes after knee problems. Don't worry, surgery is definitely not the "knee" all and end all for your ski career! The following is an executive summary of research conducted in Canada between 2009 and 2011, and published in the Journal of Sport Tourism and Leisure Sciences. The full references to the articles are below, and a copy of the full papers can be obtained by emailing shudson@hrsm.sc.edu. The research was supported by a grant to the lead author from the Social Sciences and Humanities Research Council of Canada. Hudson, S., Walker, G. J., Hinch, T., & Simpson, B. (2013 forthcoming) “The Influence of Ethnicity and Self-Construal on Leisure Constraints.” Leisure Sciences, 35(2). Hudson, S., Hinch, T., Walker, G. J., & Simpson, B. (2010) “Constraints to Sport Tourism: A Cross-Cultural Analysis.” Journal of Sport Tourism, 15(1), 71-88. 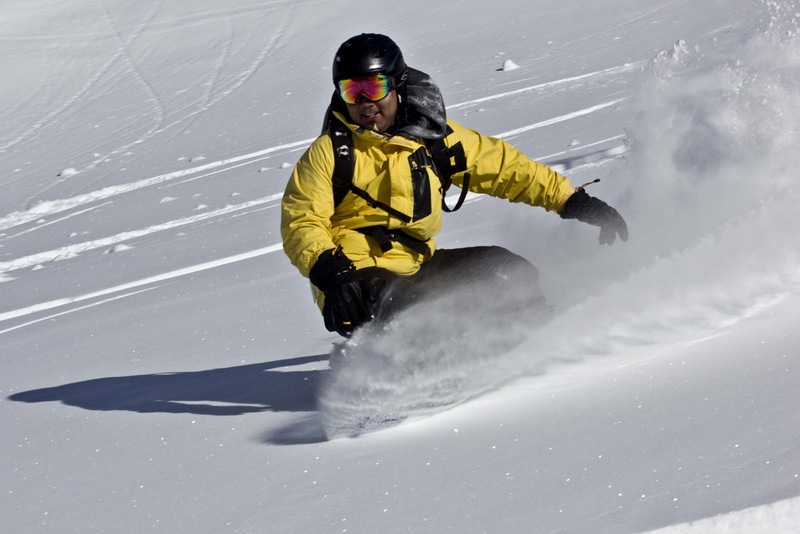 The research examined the effects of ethnicity on constraints to a popular leisure activity—downhill skiing—an activity that is struggling to attract ethnic minority group members in North America. A new leisure constraints model guided the study, a framework that recognizes the importance of macro- (i.e., ethnicity) and micro-level (i.e., participation, self-construal) variables on the traditional concepts of intrapersonal, interpersonal, and structural constraints. Previous research suggests that people confront intrapersonal constraints (e.g., personality needs, perceived reference group attitudes), interpersonal constraints (i.e., barriers that arise as a result of social interaction) and structural constraints (e.g., perceived lack of time or money), in a hierarchical order. The model was applied to downhill skiing as it is a classic Western leisure activity and responsible for major international and domestic travel flows throughout much of Europe and North America. This industry is, however, facing challenging times. Both the participation rate and the size of the Canadian skier and boarder market have declined since peaking in 2001. Further, the gradually declining number of active participants are skiing and riding fewer days per season. The minority market has incredible potential as it represents one third of the millennium generation in North America (age 12 to 17) and 45% of those aged five and younger are a member of a racial or ethnic minority. However, despite the growth in Chinese-Canadian skiers in Canada, only about 10% of Chinese-Canadians have tried the sport, compared to 15% of Canadians in general. Thus, from an industry perspective, the ski industry would benefit from a better understanding of the constraints facing existing and potential skiers/boarders, especially those from minority ethnic backgrounds who increasingly form a larger percentage of the Canadian population. To address the research questions, a survey was developed based on previous literature and the results from an in-depth qualitative study. The qualitative research showed that Anglo-Canadians were more constrained by structural constraints (time and money) whereas the Chinese-Canadian respondents were constrained by the lack of friends to ski with, a lack of information on the sport, language barriers, and a higher priority for non-leisure activities such as studying. This supports previous research suggesting that Chinese people place a greater emphasis on higher education and a strong work ethic than on leisure. However, they did express a desire to ‘experience the Canadian lifestyle’ and would therefore like to participate if only to ‘fit in’ with the Canadian lifestyle. The survey itself was administered online, and was available in both English and Chinese. An incentive to complete the survey was offered in the form of a chance to win a four-day skiing holiday provided by Resorts of the Canadian Rockies. Four specific sub-groups were sampled: current participants of Chinese-Canadian and Anglo-Canadian ethnicity, and Chinese- and Anglo-Canadians who have never participated in skiing or snowboarding. In total, 822 respondents took part, 373 Anglo-Canadians, and 449 Chinese-Canadians; 433 of respondents were participants, while 389 had never skied or snowboarded. Structural constraints were reported as the highest barriers to participation for all groups, followed by intrapersonal and then interpersonal constraints. Not surprisingly, participants reported significantly lower levels of all three types of constraint compared with non-participants. Expense was consistently reported as an important structural constraint across groups. . Ethnicity was found to play a significant role regardless of whether the person did or did not ski; manifesting in Chinese-Canadians reporting significantly higher levels of all three types of constraint compared with Anglo-Canadians. Apart from the expense, Chinese-Canadian non-participants were highly constrained by a fear of personal injury and concern that skiing is a dangerous sport. They were also notably constrained by perceived language barriers that they might encounter, and by difficulties in finding others to participate with. In general, and comparatively to Anglo-Canadian non-participants, Chinese-Canadian non-participants felt that they lacked information about how to go skiing, and held perceptions that skiing would be a difficult sport to learn and that much work is involved in planning to go skiing. The results of this study offer a number of important practical implications, particularly providing unique insight as to what is constraining Chinese-Canadians from participating in skiing and snowboarding. The growing ethnic population poses a challenge for North American winter resorts, which have not traditionally succeeded in appealing to minority markets. Chinese-Canadians may be more persuaded to participate with marketing emphasis on the provision of a safe, comfortable learning environment with few language barriers. Canadian ski areas may wish to follow the example of some Colorado resorts that have increased their frontline minority hiring. Employing Chinese-speaking ski instructors, for instance, would alleviate some of the concerns of non-participants of Chinese origin. Similarly, having information and education materials (brochures, maps, etc.) available in Chinese would also be helpful to address the perceived lack of information available about the sports and perceived difficulty in planning to go skiing. Finally, given the importance of friends for Chinese-Canadians trying to negotiate constraints, special introductory “buddy” rates (for example, two-for-one specials) may be worth considering as a motivation to try the sport.